The Zeta Tau Alpha Foundation fulfills the founding principles of our Fraternity by providing support for programsthat are educational, philanthropic and leadership-oriented. Zeta Tau Alpha’s National Philanthropy is Breast Cancer Education and Awareness. Think Pink® –Think Pink® is the umbrella theme for all of our breast cancer education and awareness projects. Chapters distribute Think Pink® ribbons, breast self-examination (BSE) calendar stickers and breast health tip cards throughout the year. National Think Pink Partners Zeta Tau Alpha partners on a national level with several prestigious organizations in the fight against breast cancer. American Cancer Society®: Through our premier partnership with American Cancer Society®, ZTA is the National Survivor Ambassador of Making Strides Against Breast Cancer®. At the nearly 300 Making Strides walks held each October in communities across the country, Zetas provide assistance and focus on survivor recognition. Over time, we will help grow the survivor recognition program at these events. National Football League: Since 1999, Zeta Tau Alpha alumnae and collegiate members have worked with all 32 NFL teams to increase awareness of breast cancer at professional football games. ZTA is an official fan outreach partner of the National Football League. Beginning with the Washington Redskins in 1999, Zetas have helped spread the message of breast cancer awareness to over 5 million football fans across the country. Bright Pink®: To educate, equip and empower our members to be advocates for their own breast and ovarian health, we’ve partnered with Bright Pink®, a national nonprofit organization focused on prevention and early detection of breast and ovarian cancer. We bring the Brighten Up® Educational Workshop to each of our collegiate chapters. Interested alumnae chapters are encouraged to join collegians for this fun and informative workshop. We plan to grow this program over time to include Panhellenic women and others in the campus community. 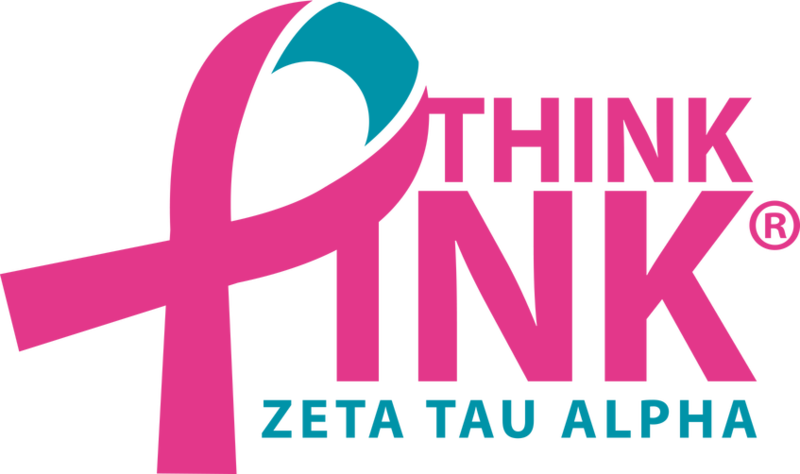 Breast Cancer Awareness Month – October is Breast Cancer Awareness Month, and across the country, members of Zeta Tau Alpha hold special events to increase awareness about early detection and to raise funds for education and research. Pink Out – Each year, Zeta Tau Alpha chapters across the country host Think Pink® or Pink Out games with their university athletic departments to raise awareness for breast cancer.